Hearing protection: This is the amount of protection that the units provide you. Some of the devices work on their own, while others come with a radio that blocks the noise coming from the lawn mower. When making the purchase, buy lawn mowing headphones that provide the highest level of noise protection. Comfort: Since you will most likely be on your feet the entire day, the last thing you want is a unit that increases the discomfort levels. When making the purchase, pay close attention to the padding and headband cushioning. Just like with the hearing protection feature, go for the most comfortable hearing protection devices that you can afford. Durability: Who wants to head to the stores to buy near devices, almost immediately after making a purchase? I bet no one. You should buy hearing protection for lawn mowing made from tough materials which gives you peace of mind that they won’t come apart soon. Why do you need hearing protection when lawn mowing? If you are like me, you hate noise on your ears all the time thus you want to be comfortable when working. By wearing the best ear protection for mowing, you eliminate the distraction from the lawn mower noise. The other reason you should wear the hearing protection devices is to protect yourself from noise induced hearing loss. This is the noise resulting from prolonged exposure to high levels of noise. According to the national institute of health, 15% of Americans between the ages of 20 and 69 suffer from high frequency hearing loss resulting from occupational activities such as lawn mowing. For you to avoid suffering from the condition, you should protect yourself using hearing protection. Two of the best devices you should use are: ear plugs an ear muffs. Earplugs are small inserts that you fit into your ear canal. For them to give you the protection you are looking for, ensure that they totally block the ear canal with an airtight seal. The earplugs come in different shapes and sizes. When I wore the earplugs for the first time, I had problems keeping them in the ear. If you are having the same problem, fit them with a headband. 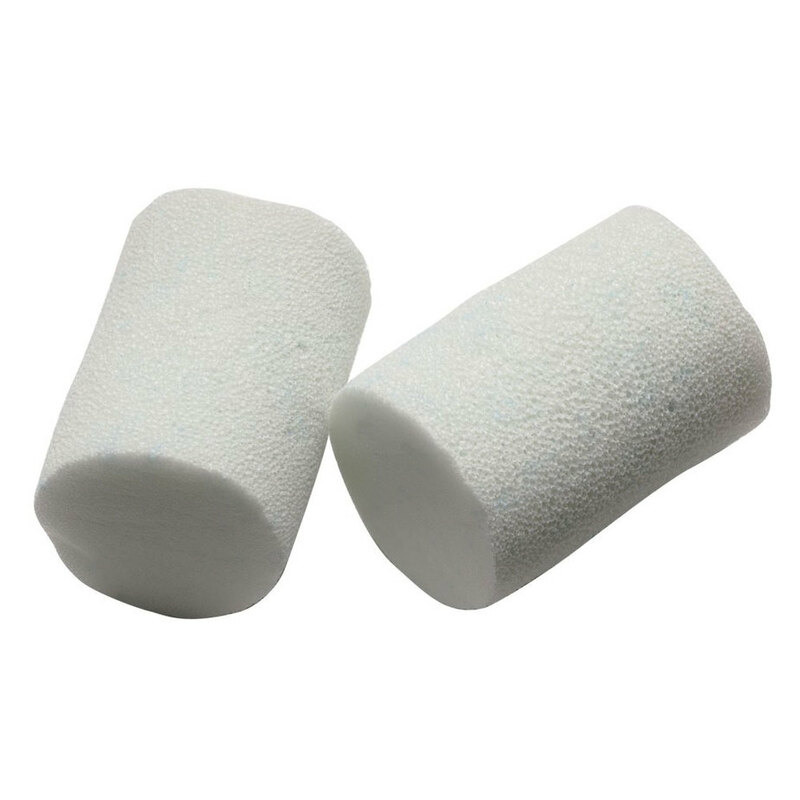 Simple foam ear plugs are cheap and you can easily find them online or in your local drugstore. If interested in custom made earplugs, you should visit an audiologist. Since the earplugs are made from foam, they don’t last for a long time. When they get dirty, wear out, and start irritating your ear canal, it’s time to get new ones. When properly worn, you can reduce the lawn mower noise by up to 7 dB. 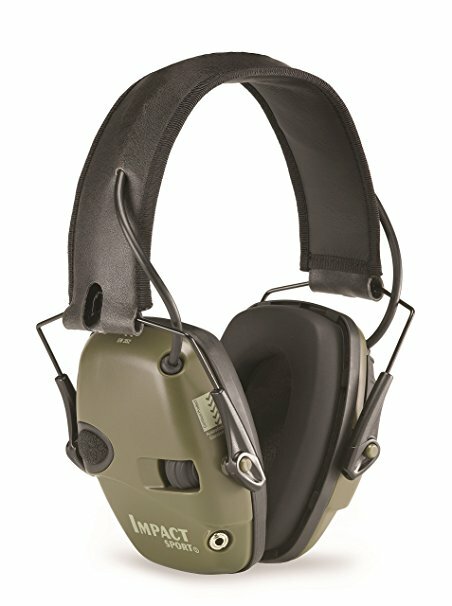 Your second option for hearing protection for lawn mowing is ear muffs. The muffs cover your entire ear forming an air seal that ensures the entire circumference of the ear is blocked. To ensure that you are comfortable, the ear muffs are held in place by an adjustable band. When using the ear muffs, you should note that they don’t seal around eyeglasses or long hair. For you to get the most from the ear muffs, ensure that the adjustable headband tension is sufficient to firmly hold the earmuffs around the ear. When you properly use the ear muffs, you can reduce the noise by up to 30 dB. Great yards deserve equipment that are dedicated and hardworking as you. When I bought these hearing protectors, I was fed up with the sharp noise coming from my lawnmower. Upon buying them, I couldn’t be happier with my purchase. The reason you are buying the ear muffs is that you are like me—you are fed up with the lawn mower noise. With these ear muffs, I guarantee you will experience instant relief from the annoying noise. While the manufacturers haven’t indicated the amount of noise that the ear muffs block, they block almost all of the noise. You only need to wear them. When I wear the units when cutting the grass, I feel as if I’m the only person in the world. This allows me to concentrate on the job at hand. Who wants uncomfortable protectors? Not me. The lawn mowing work is hard enough. 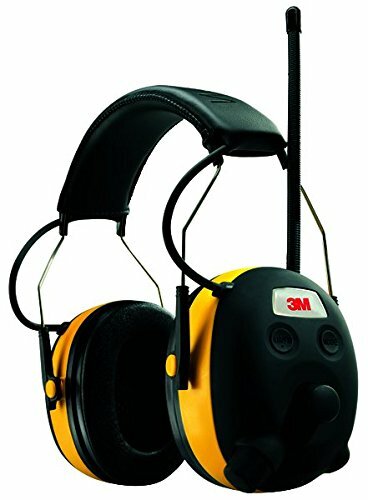 These hearing protectors are padded which ensures that you are comfortable when working. The units also have an adjustment feature that allows you to easily adjust them to your desired size. This too contributes greatly to your comfort. The ear muffs are made of a hard plastic which should give peace of mind that they will last for a long time—unless you drop or step on them. In addition to avoiding stepping on the hearing protectors, you also should avoid wearing them with a hardhat. I like the fact that the earmuffs are very comfortable to wear. Even if you have a large yard to mow and you need to be on your feet the entire day, you can wear these units without any problems. I also like the fact that the hearing protectors blocked almost all of the noise. This allowed me to work in peace thus I achieved more. While the manufacturers have indicated that the ear muffs are ideal for all sizes of heads, I have a big head and I had issues wearing them thus you should be cautious when buying them—especially if you are big headed like me. I don’t like listening to music when working as I’m a guy and I can’t multitask! If you like enjoying your favorite radio stations when working, there is no harm in giving these hearing protectors a go. 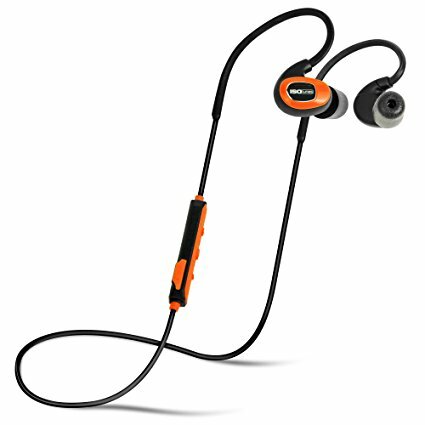 The units provide you with a hearing protection of up to 24 decibels. In addition to this, the ear muffs allow you to listen to all of your favorite stations which comes in handy in ensuring that you don’t hear any noise from the outside. Many ear muffs with the radio feature require you to remove and set them—not with these ones. These pieces come with a voice assist technology that allows you to set your desired stations without having to remove them from your head. The voice assist technology also allows you to program the different stations and notifies you when the battery is about to get low. As I have said above, I don’t like listening to music when working, but when I wore these pieces for the first time, I was greatly impressed by the sound quality and bass boost. You can’t hear any other sound other than the radio playing in your ears. To ensure that you are comfortable when working, these pieces feature a soft, comfortable gel ear cushions that ensure that you are as comfortable as possible when working. The headband is made of stainless steel but it's adjustable thus you can set it to your desired size. The band is also covered with a soft padding that greatly contributes to the unit’s comfort levels. The ear muffs are made of high-quality plastic thus you can be sure that they will last for a long time. The main problem with many battery-covered units is that the battery cover tends to break every now and then. The battery cover of these earmuffs has a hinge that minimizes their breaking. While all the features are in place to reduce the damage of the pieces, you need to take good care of them, to prevent them from getting damaged. For example, you should take caution that you don’t drop them when working. Although, I’m not a fan of things playing in my ears when working, I liked that with the music on, I couldn’t hear the sound of the lawnmower. I must state again, I don’t like music in my ear when working, but if that’s the thing for you, you should definitely go for these. I’m into shooting and if you are shooting geek you know that these ear muffs are the go-to units. A few days ago I couldn’t find the hearing protectors that I normally use when lawn mowing so I decided to give these a go—I couldn’t be more surprised. While they are designed for use in sports, you can definitely use them in your lawn mowing work. The most amazing thing about the hearing protectors is the way in which they protect your ears. The units protect you using the distortion-free amplification method. Here they block any noise that is above 82 dB. When you turn them on, they “listen” to the volume of the noise that the lawnmower is making and lowers it to a safer level. According to the manufacturers, the hearing protectors provide you with a noise reduction rating of 22. This ensures that you don’t listen to the annoying noise coming from the lawnmower, and at the same time you aren’t fully blocked from other sounds from the environment. This means that when you are called for lunch, you can hear and rush to the dinning room. The ear muffs have low profile ear cups that don’t come into your way when working. The headband is padded which adds a layer of cushion that ensures that you are comfortable. The telescopes also come in handy in ensuring that you have a secure, custom fit which contributes greatly to your comfort. The earmuffs also have an air flow control technology that also increases the comfort levels. When you are working in rain, you don’t have to worry about the hearing protectors getting wet as they are water resistant. The cool thing about these hearing protectors is that they are made from a tough, high-quality plastic thus you can have peace of mind that will last for a long time. While this is the case, you should avoid dropping them on the ground as you will damage them. I don’t like that they have batteries. This is because I tend to forget replacing them. Loud noise can cause a permanent hearing problem, and this is why these ear muffs were made. To provide you with the much-needed hearing protection, these hearing protectors are made from high quality two layers of proprietary noise dampening foam. 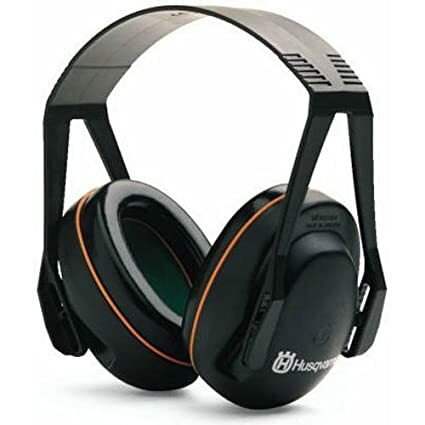 This provides the ear muffs with a noise reduction rating of up to 34dB. When I wore these earmuffs for the first time, the first thing that caught my attention is how comfortable they are. In addition to the foam preventing the noise from the lawn mower reaching your ears, it also ensures that the units are comfortable thus you can wear them for long periods of time. The hearing protectors are also padded with synthetic leather that increases the comfort levels. As I have mentioned above, I have a big head thus I have to adjust almost every ear muff that I wear. The cool thing about this one is that it has an adjustable headband that allows you to achieve a custom fit. The ear muffs have a full 1 ¼ inches of vertical adjustment on both sides. This ensures that you are comfortable even if you have a large head, like me. The cup design of the ear muffs also greatly contributes to their comfort. The cup tilts and swivels giving you the custom fit that you are looking for. 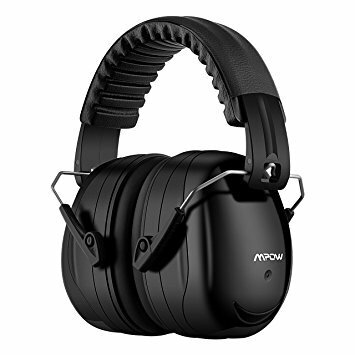 Unlike most ear muffs that are a hassle to store after use, these units come with a compact folding design that makes it easy to for you to store them. In fact, once you are through with your work, you only need to fold them and carry them in your pocket or work bag. 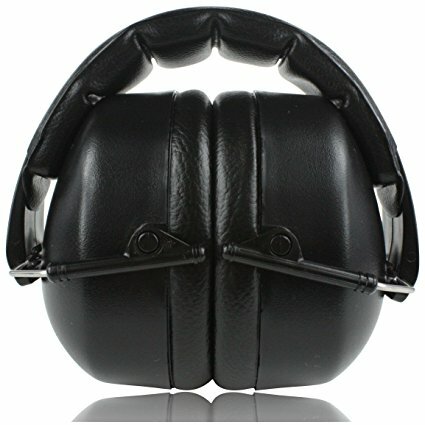 Just like other high-quality lawn mowing ear muffs, these earmuffs are made from industrial grade, high-quality plastic. This means that you will go for even years without having to replace the units. I really liked the cups swivel which makes the hearing protectors very comfortable than they look. Due to my large head, even after making the headband adjustments the ear muffs felt too tight. At some point, they were too tight that I couldn’t wear them over long durations. According to the manufacturers, they designed these ear protectors to address the issues that come with using bulky ear muffs. When I wore the ear muffs the entire world around me was silenced in a snap. 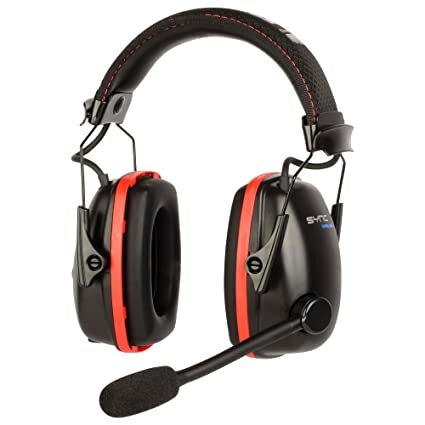 The ear muffs provide you hearing protection rating of up to 34 dB. This blocks out most of the noise coming from the lawn mower so that you can concentrate on the project at hand. As mentioned above, the manufacturers designed these units to address the issues that come with bulky ear muffs. As you might have guessed, one of the biggest issues with large hearing protectors is weight. I must say that these pieces are very lightweight. Unlike other protectors that add more weight to your head that you have to stiffen the neck, when you wear these pieces you don’t even feel the extra weight. In addition to being light, the hearing protectors also feature a padded headband that ensures that you are comfortable even when you wear the units for a long time. In fact, due to the padding, you can wear the units the entire day and you won’t be uncomfortable. The units come in different sizes and all you need to do is to choose the ones that are ideal for your size. The foldable design of the earmuffs makes it easy for you to carry them. Once you are through with your lawn mowing, you need to fold them and put them in your pocket. The ear protectors also come with a bag where you can put them. To give you peace of mind that you won’t be going to the stores after only a short time, these earmuffs are made from a compact, solid piece of plastic that can withstand tough environmental use. While this is the case, you should avoid dropping them as you will cause them to break. In addition to the ear muffs being comfortable and blocking out most of the noise, I also highly liked the fact that they came in different sizes. You can even find a size that can fit your small child. They can be too tight for you especially if you have a large head. Who said you need to have large ear muffs when you are mowing your lawn? These earplugs will provide you with the hearing protection that you want. I’m used to wearing ear muffs so when my friend, Kim asked me whether I have ever used ear plugs before, I responded no. He mentioned that I was missing a lot. And true to his word, when I tried on the pieces, I had a lot to catch on. When you wear the pieces correctly, they will provide you with the hearing protection of up to 29 decibels. For you to wear the earplugs you need to roll the plug back and forth between your fingers (BTW, ensure that your fingers are clean to avoid transferring germs to your ear). You should roll the plug to a tight cylinder and then immediately insert it into your ear canal. You should hold the plug in place until it expands so that it gives you a snug, comfortable fit. Since the earplug is made from foam, you can’t expect it to be uncomfortable to your ears. As long as you are wearing it correctly, you have nothing to worry about. If you are uncomfortable wearing the piece, you should know that you aren’t wearing it correctly, and you should remove and wear it properly. When you are using the earplugs, you should note that they dry out after you have used them for a long time. Dried out pieces tend to hurt the eardrums; therefore, you should replace them with new ones. They are made in the USA thus you can have peace of mind that they will give you the service that you are looking for. While this is the case, as mentioned above, they are made from foam; therefore, you shouldn’t expect them to last for years. When they start drying out, it’s time to replace them. The cool thing is that they are cheap; thus, you can throw them out as necessary. I have small ear canals and I thought that the plugs would be uncomfortable once they expanded. The shock on me, they weren’t! I didn’t like they started drying out after a few weeks. I wish they could last longer. You should silence your world using these pieces. The ear muffs feature NRR sound technology. 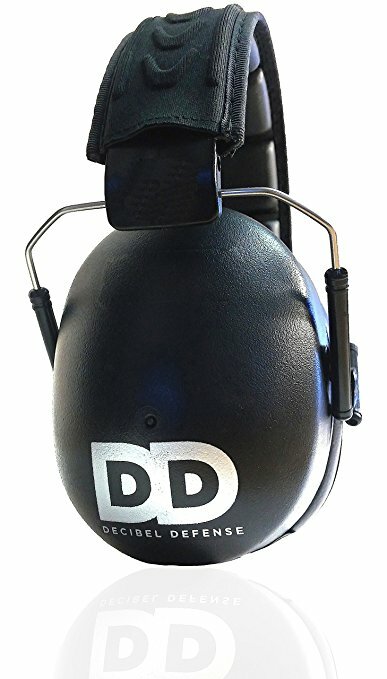 Using the technology, the pieces are made using two layers of professional noise dampening foam, high sealing solid cup and a unique double shell that ensures that the ear muffs provide you with all the silence you need when working. When you wear the pieces, you will reduce the noise of up to 34 decibels. Nobody wants uncomfortable earpieces as lawn mowing is uncomfortable enough, right? When I wore the hearing protectors, I was highly impressed by how comfortable they are. The hearing protectors feature a soft foam that not only aids in reducing noise, but also makes the pieces comfortable to wear even for long periods of time. The earmuffs also feature a retractable stainless steel at the end that makes it easy for you to fold and unfold them. This means that even if you have a large head like mine, you can adjust them to your liking. These units are not only comfortable, they are also lightweight. In fact, they are one of the lightest ear muffs I have ever worn. Once you are done with the lawn mowing, the pieces come with a carrying pouch that you can use to carry them. The ergonomic design of the units also comes in handy in ensuring that headband stays as close to your head as possible without causing any pressure and discomfort to your ears. The ear muffs are made in the USA. Just like any other product made in the united states, you can have peace of mind that they will last for a long time. I like that I can easily adjust the ear muffs to my large head and the units are still comfortable and effective. The ear muffs are also very light and block almost all of the noise from the lawn mower. The only thing I didn’t like about them is that I find them sticking out too far to my liking. Hey, that’s just me! When I looked at these ear muffs, I thought, “well…another pair of regular earmuffs.” The truth is that the units are not your regular hearing protectors. The ear muffs are ANSI and CE EN certified thus you can be sure that they give you the protection that is indicated on the package. The packaging says that they reduce the noise by up to 34-37 decibels which is enough to block most of the noise from the lawn mower. As a homeowner, you are not only looking for pieces that will protect you from the annoying noise of the lawn mower, you also want a unit that is comfortable for your ears. These earmuffs have a smooth, padded cell headband with a fabric stitching that ensures that you are as comfortable as possible when working. If you have a large head (like me), you can adjust the size so that you get that comfortable, customized fit. The cool thing is that pieces are light thus you won’t feel as if you are carrying a lot of baggage on your head. Once you are done with your project, you need to fold the ear muffs and store them in your bag or pocket. As mentioned above, the pieces are light thus you won’t have a problem carrying them. While it’s common for all units to get damaged when they fall, if you take good care of them, you don’t have to worry about them coming apart fast. These earmuffs are made of high-quality plastic that can last for even years if you take good care of it. While I could get the size that fit me perfectly, my friend, Kim who has a larger head had problems adjusting the ear muffs to his comfortable size. When he wore them, they were too tight thus he couldn’t wear them for even an hour. From this experience, you should be cautious when buying the hearing protectors, especially if you have a large head. If you don’t like ear muffs, you should detach from the noise coming from the lawn mower using these hearing protectors. The pieces have a noise reduction rating of 27 dB which is enough to block out most of the noise coming from the lawn mower. When I wore these pieces, the first thing I noticed is the Bluetooth technology that allows you to seamlessly stream music from the phone and other devices that I was using. Since you will be listening to your music, you will be blocking even more noise. As I have mentioned before, I don’t like things singing in my ears when I’m working, but I really liked these pieces. When I put on the units, I was secluded from the outside world. I completely couldn’t hear the noises from the machine. I even couldn’t hear people speaking. Since the pieces are made from a custom-fit memory wire that conforms to your ear for a stable fit, you can have peace of mind that the units will be comfortable for you to wear the entire day. In addition to this, the pieces have heat activated comply foam earplug ear tips that not only ensures that the hearing protectors are comfortable, they also greatly contribute to the durability of the units. While the earplugs resemble your regular ear telephones, you shouldn’t think that they will come apart fast. They are made from high-quality materials that don’t break unless you drop them or deliberately decide to damage them. The safe sound technology allows you to listen to the music all day without worrying about damaging your ears. I liked that they come in elegant designs thus if don’t like the look of ear muffs, these are the right units to go for. I’m not a fan of hearing protectors so when I wore them, I found them too loud. Another Bluetooth piece that will help you in blocking most of the noise from the lawn mower. According to the manufacturers, this device was designed for the worker who wants to stay connected and at the same time wants to block noise coming from the surrounding environment. 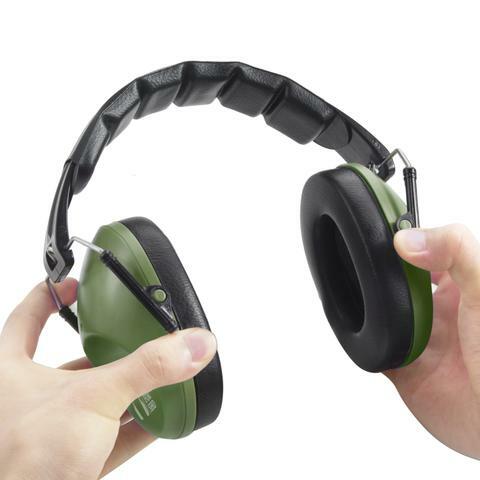 These earmuffs reduce up to 31 dB of noise coming from the lawn mower. The hearing protectors also allow you to stream music wirelessly which further allows you to block more of the noise. While the units allow you to listen to your favorite music, they have a proprietary volume control technology that limits the audio device output to a safe 82 dB. For the pieces to provide you with the comfort that you need when working, they come with cushioned ear cups and headbands. The hearing protectors are only 10.9 ounces which means that they are light thus you can wear them comfortably the entire day without worrying about them getting worn out. Since they are wireless, you don’t have to worry about wires coming your way when working. You also have an easy time setting the music that you want to listen to. No one wants to go back to the store to buy new appliances after only a short time. The hearing protectors are made from tough plastic that gives you peace of mind that they will last for a long time. The headband of the units is made from a tough steel core that makes them even more durable. Although, I’m a fan of ear muffs that play music, I liked the noise isolation that these pieces presented. One wearing them and turning on the music, you can’t hear anything else. The hearing protectors are also tough thus you don’t have to worry about having to go back to the store after buying them. I don’t like the battery feature although, the battery is rechargeable. These are some of the best hearing protection for lawn mowing that you should go for. In addition to considering the above-mentioned factors: hearing protection, comfort, and durability, you also should ensure that you buy the pieces from a reputable store. When you get the new pieces, you should take good care of them for them to give you a great service and also last for a long time.